And we’re ready for you. if you're over 18, consider this: there's a great way to be challenged, enjoy the camaraderie of dedicated men and women, and give back to your community. The Tappahannock-Essex Volunteer Fire Department is an all-volunteer force of first responders to emergencies involving firefighting, fire suppression, emergency medical care, specialized rescue, motor vehicle accidents, marine rescue, residential and commercial fires, brush fires, and hazardous material response. The challenges are real. So are the rewards. Ride with us. Then join us. And by the way, we’re ready for you. Be one of the ones people call in an emergency. When there's trouble, you'll respond. You'll be ready, because you will be expertly trained. In fact the first certification, Firefighter 1, requires over 144 hours of hands-on and classroom training. You’ll be surprised at what you can accomplish – even in a small but wonderful community like Tappahannock., Virginia. It’s a commitment, but you’re ready. Come ride with us – then join us. So much to gain. And nothing to lose. It's a great job – but it is a volunteer job. But what you receive is so much more than just money. 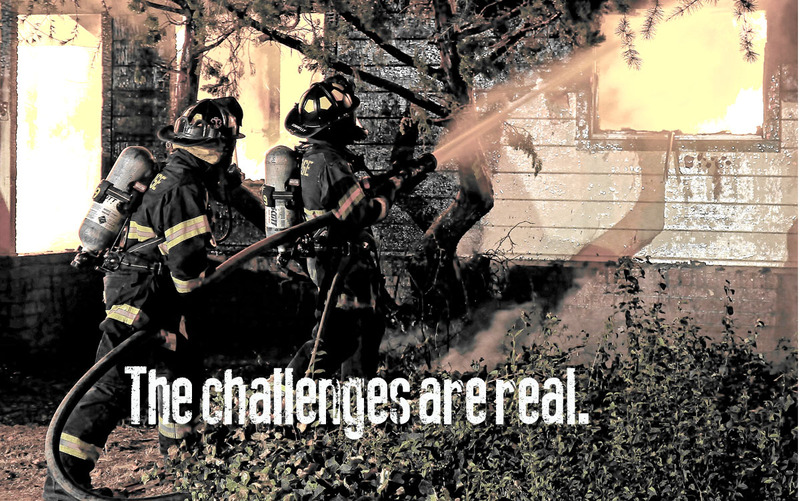 As a volunteer firefighter you gain self-confidence. You gain friendships that will serve you for life. You gain amazing stories that you'll tell the rest of your life. You'll gain a real understanding about who you are and what you can really accomplish in this life. You may even gain a career path. It happens a lot. A professional organization staffed by volunteers. The Tappahannock-Essex Volunteer Fire Department takes great pride in it's people, it's apparatus, and the quality of our training. When there's an emergency our people are the ones you want to see. Every kind of job for every kind of person. We have jobs for everyone, from communications to accounting to support. Whether you simply want to drive a truck, pull hose, or provide backup support, there's a role for you. Yes, you'll need some training, but you can do it. We promise. Volunteer firefighters come in all shapes and sizes, and somehow they all make it through the actual physical or hands-on training and the training that takes place in the classroom. 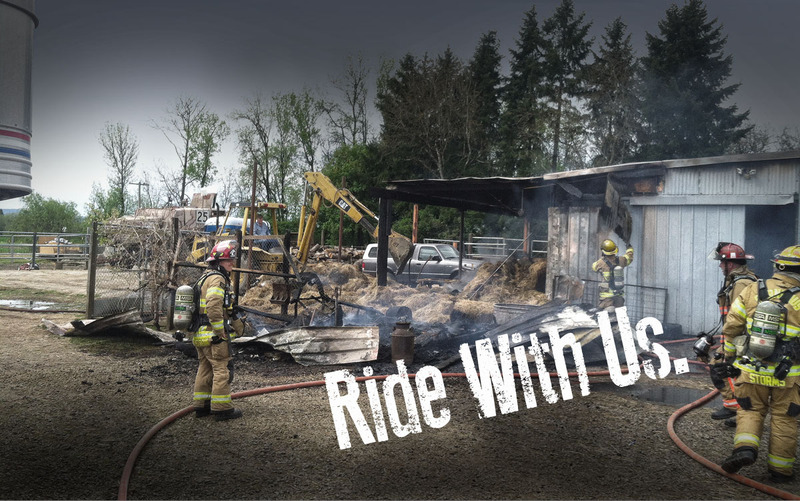 The 110 hours of training can take as little as five months – and while you are in training you can still ride along and get involved, even before you receive your Firefighter 1 Certification. Training never really stops – and that's a good thing. You must first receive the Firefighter 1 Certification. There is a Firefighter 2 Certification if you are interested. Training can take place at the station or off-site for simulation exercises – sometimes in another part of the state. You might call those "road-trips." Subjects may include: HazMat training drills, physical fitness, and driver training. Some firefighters chose to get their EMT Certification. You may not know it but if we did it, you can do it. Call us. Let's talk about it. Being in shape helps achieve the ultimate goal of improving firefighter safety and health and reducing injuries. But at TEVFD it's also fun. We do cardiovascular workouts, and agility training using "Insanity" programs, and weight training on circuit machines, and lift iron. It's hard sweaty work, but you will be challenged to achieve your personal best every time out. What are the available courses of training? The Firefighter One Training provides training in confined space, forcible entry, emergency preparedness, respirator fit testing, OSHA compliance, hands-on fire department drills, and rescue training. The Emergency Vehicle Driver Training (EVOC) course provides emergency vehicle operators with the knowledge and skills necessary to safely operate an emergency vehicle in emergency and non-emergency mode. Topics covered include legal aspects of emergency vehicle operations, navigation and route mapping, driver roles and responsibilities, basic driving skills, and proper driving procedures. OK, I'm ready. Now what? Complete the form on this page or call 804-443-1405 now.